Chop onion, tomato, green chillies and coriander leaves finely. 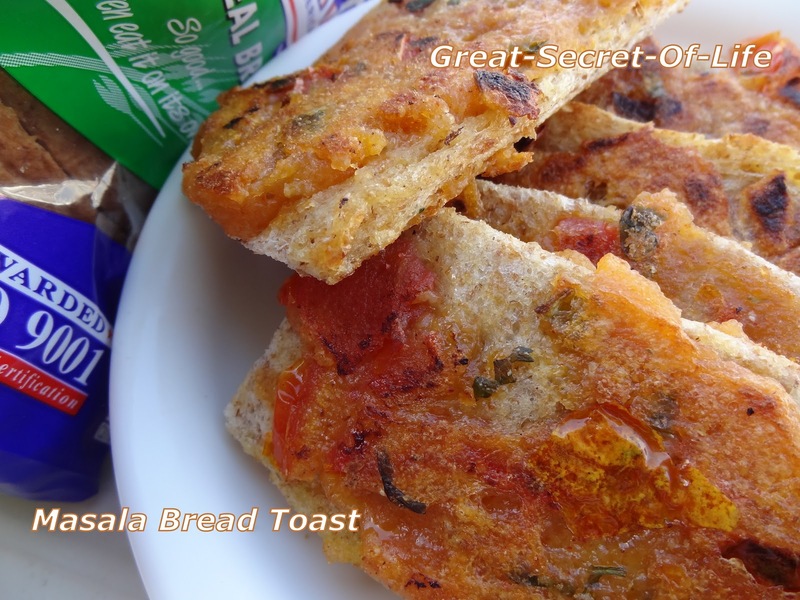 Remove the sides from the corners of the bread slice and cut it into 2 half. Put the rawa (suji) in a bowl. Add salt and red chilli powder and mix well. Then add the chopped onion, tomato, green chillies, yogurt and coriander leaves to the rawa. Mix it nicely. If necessary sprinkle little water and make a thick paste like consistency.